I thought I had already watched and reviewed this one; that we were due the second film in the Heaven’s Feel trilogy. In fact the last Fate related property that I had laid my eyes upon was actually Fate/Grand Order First Order, which I reviewed one year ago. One year! Right now, the second film in this trilogy is still in selected cinemas in the US, and is a long way from home video release, and the third film is probably only in the early stages of production. This first movie came out in Japanese cinemas two years ago, and is only now making its UK home video debut. Pencil in 2023 for completing the trilogy in your collection. It’s easy to get lost in the world of Fate/Stay Night. The original TV series from Studio Deen came out on UK home video some ten years ago now. It was followed up by the Unlimited Blade Works movie, and both were decidedly mediocre. It’s when Studio ufotable got their hands on the franchise that things started to look up. Fate/Stay Night is based on a Type Moon video game, the people behind Garden of Sinners and Tsukihime, and the game has three routes through it. The original was adapted by Deen, and they turned Unlimited Blade Works into a movie. 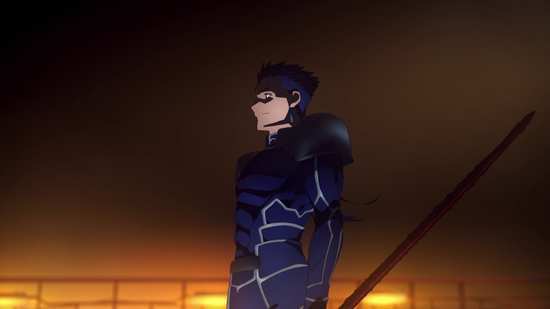 ufotable began by ignoring that and came out with the awesome prequel series, Fate/Zero, which told of events ten years previously that led to Fate/Stay Night. They then went back and turned Unlimited Blade Works into a full length series, considerably more satisfying than the movie. We’ve also had the first instalment of the Fate/Kaleid Liner spin-off series; although I suspect that any other seasons of that show will hit a roadblock at the BBFC. And as mentioned we got the first instalment of Fate/Grand Order last year, an adaptation of a spin-off mobile phone game. 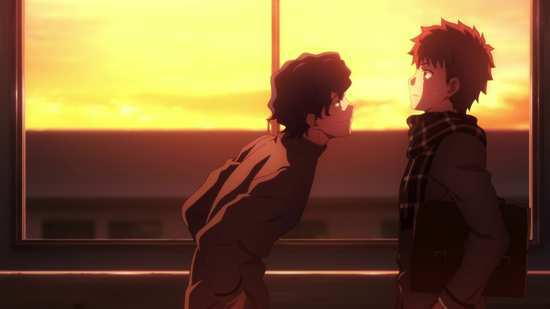 All of that leaves that final route in the original game yet to be adapted, and this time ufotable have gone the feature film route. 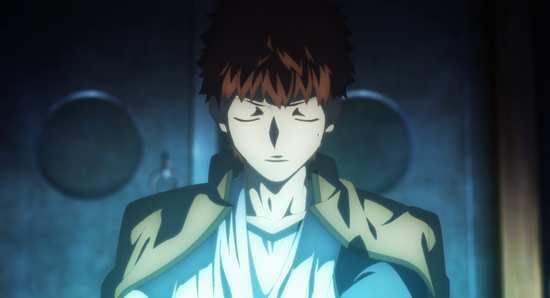 It’s understandable given their high production values, but if you’re concerned that like the original Unlimited Blade Works movie, there isn’t enough time to tell a decent story, Heaven’s Feel is going to be a trilogy, and given that this first instalment is a full two hours long, there’s probably more than one cour of story in three movies. Ten years previously, a secret war over the possession of the Holy Grail raged between mages and the powerful servants they had summoned. It was a conflict that laid waste to Fuyuki City, and the sole survivor, Shirou was rescued by a mage and adopted as a son. Shirou Emiya has an instinctive rapport with machines, and can sense how things are supposed to fit together. 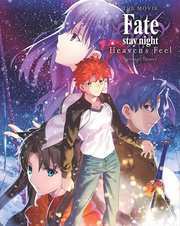 Having inherited the Emiya estate, he now lives alone, and goes to high school in New Fuyuki, but his past has left a mark on him. His ambition is to help people, and become a champion of justice. He's unprepared for the havoc that is to come. New Fuyuki will be the battleground for a new Holy Grail War, as seven mages will draw forth their servants and clash. He's also unprepared for the fact that he will be one of the mages, and he's totally unready for summoning the most powerful servant of them all, a cute girl named Saber. Now it's up to him to prevent the destruction that previously devastated his home. The Fate franchise fell to ufotable to produce, and in the West it fell to Aniplex US to distribute. Both these things indicate quality. The disc may come from MVM via Madman Entertainment’s localisation, but it all begins with Aniplex US, and Presage Flower’s 1.78:1 widescreen 1080p transfer is impeccable. 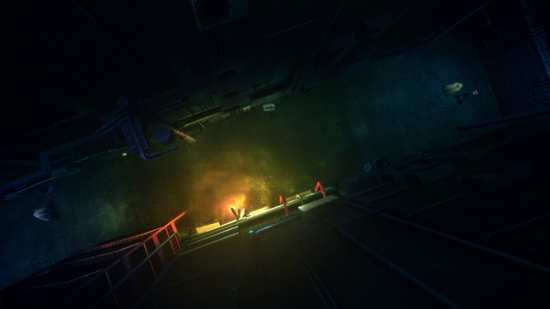 The image is clear and sharp, colours are strong and consistent, and the animation is unmarked by compression, aliasing or even digital banding. It looks divine. 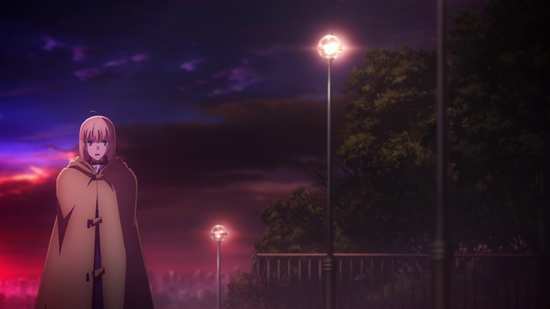 This is brilliant, as ufotable have delivered their best Fate production yet, the familiar character designs are shown at their best, in world designs that simply ooze atmosphere, while the magical effects and action sequences are breathtaking. You have the choice between DTS-HD MA 5.1 English and Japanese with optional English subtitles and a signs only track. I was happy with the Japanese audio, and appreciated the action and the music, while the dialogue was clear throughout, the subtitles accurately timed and free of typos. Just wait until Berserker shows up, and listen to your LFE explode. The sound design in this film will leave a grin on your face. The disc boots to a static menu. On the disc you’ll find a PV and CM Collection (1:58), the Japanese Teaser (2:22), and 4:09 of Japanese Trailers, and that’s your lot. I haven’t seen any of the physical extras in the Blu-ray Collector’s Edition to comment. I loved Fate/Zero, but I have to admit that I’m not a fan of the Fate/Stay Night stories, or at least the first two. Studio Deen’s production of the first series didn’t help its mediocre storyline, while the Unlimited Blade Works movie was an exercise in style over substance. 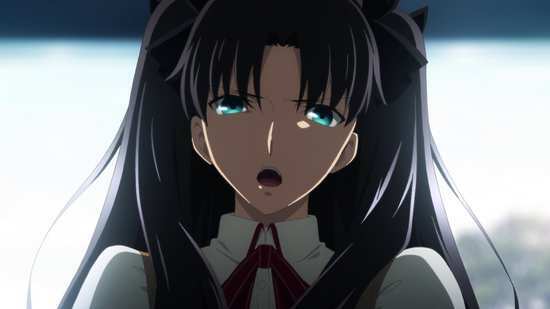 ufotable’s remake added the substance, but it also made me realise that I just found it hard to appreciate the characters in the story, the brilliant Rin Tohsaka notwithstanding. When you don’t really care about the characters, it’s hard to invest in them, and all the production value and budget isn’t going to help that. So now we come to the third route through the game, ostensibly the darkest of the three, and it’s unsurprising that I haven’t suddenly had an epiphany about Fate/Stay Night. Watching this movie does make me wish that ufotable could take a crack at the original route, as it deserved better than that which it got from Studio Deen. The obvious problem with Presage Flower is to be expected though. It’s the first third of a story, the first act in a six hour long movie, and as such it’s really just setting the scene and introducing the characters, despite all the action and twists and turns that occur. 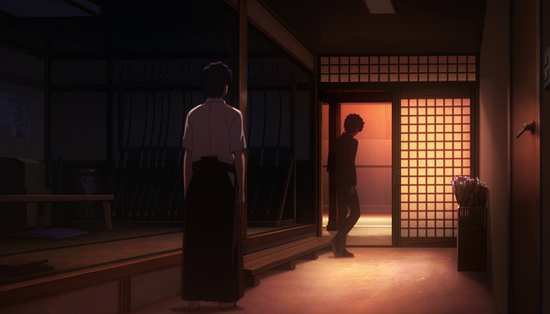 It does something a little different though, beginning with half an hour of back-story, setting up the relationships between Shirou Emiya, Shinji and Sakura Matou, and Rin Tohsaka starting eighteen months before the Grail War, especially the antagonism that rose between Shinji and Shirou after the latter dropped out of an archery tournament and the school archery club following an injury. 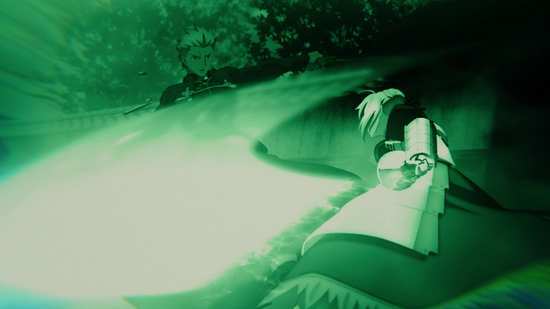 This presage lasts about half an hour before we catch up to the usual start of the story, Shirou staying behind after school to clean up the archery club, caught between the fight between Archer and Lancer, killed, brought back to life by Rin, going home and summoning Saber. We’ve seen this in some form three times already, and the movie wisely uses the montage shorthand to repeat this under the opening credits of the film before getting to the new, divergent story of the Heaven’s Feel route. 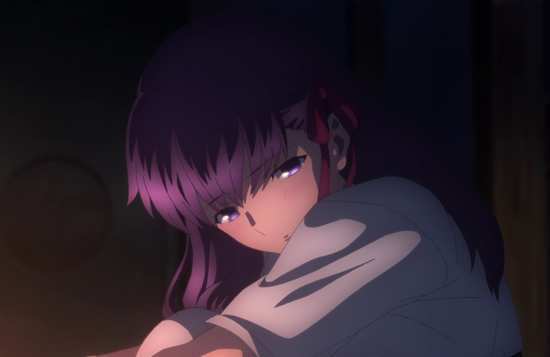 The Heaven’s Feel arc focuses more on the character of Sakura Matou, Shinji’s younger sister, and who has quite the colourful and dark back-story. 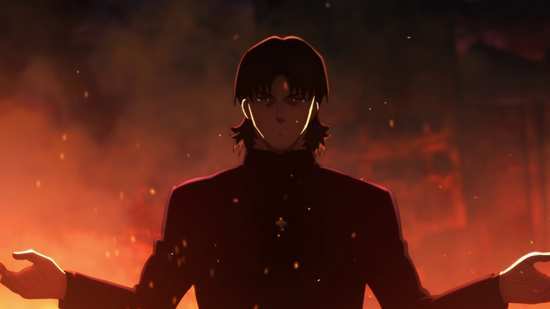 If you’ve seen Fate/Zero, you’ll know just how that begins, and in that regard, Heaven’s Feel out of the three routes through the game is best served by Fate/Zero as a prequel. Sakura gravitates towards Shirou after he is injured, and winds up taking care of his home while he’s unable to. 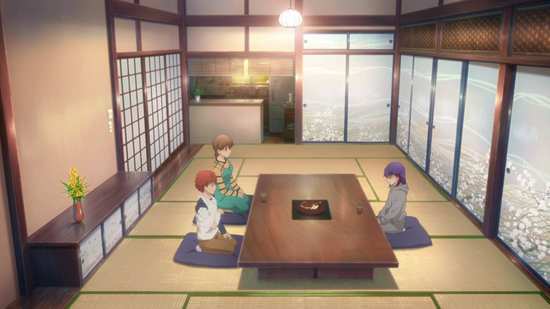 Once he heals, the habit of cooking and cleaning for him has stuck, and she’s a constant presence at his house, along with Shirou’s teacher and guardian, Taiga. 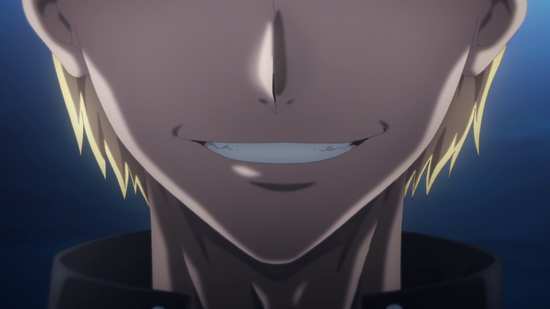 While the story starts in the same way up to the point that Shirou calls Saber to his side, we’ve already seen seeds sown regarding the Matou family’s ambition for the Grail, through Shinji most prominently, but there are also hints about Sakura at the start of the story (it seems she has more than a passing acquaintance with a certain Gilgamesh), but in this first part of the trilogy, the real interest lies in the machinations of Zouken Matou, Shinji and Sakura’s manipulative grandfather. The real diversion occurs when the True Assassin appears, scything his way through the Servants at play in the Grail War, and by the end of this first film, it’s clear that someone isn’t playing by the rules in their lust for the Holy Grail.